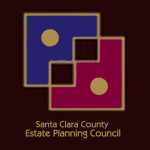 Santa Clara County Estate Planning Council – The Santa Clara County Estate Planning Council is a networking and continuing education organization for members of the various professions involved in estate planning, including attorneys, accountants, trust officers, private professional fiduciaries and life underwriters. To promote knowledge of and interest in estate planning and related subjects, and foster intelligent cooperation among practitioners in these fields. Our goal is to provide a comprehensive system of services and supports to the aging community and their caregivers. 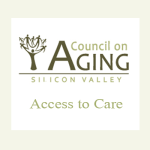 California Advocates for Nursing Home Reform – California Advocates for Nursing Home Reform (CANHR) is a statewide nonprofit advocacy organization dedicated to improving the choices, care and quality of life for California’s long term care consumers. 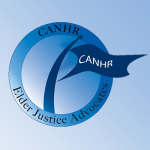 Through direct advocacy, community education, legislation and litigation it is CANHR’s goal to educate and support long term care consumers and advocates regarding the rights and remedies under the law, and to create a united voice for long term care reform and humane alternatives to institutionalization. 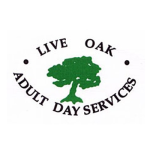 Live Oak Adult Day Services is a non-profit organization featuring an activity-based program. They now have five full-time adult day care centers for seniors residing in Santa Clara County. The most recently-acquired site in Cupertino is the results of a merger with the former Cupertino Senior Day Services on July 1, 2003. This center serves primarily residents of the cities of Cupertino and Sunnyvale. Each center has Program Director, Assistant Program Director, 2-3 staff members, and several volunteers. They are licensed for 30 clients at each site. Monday-Friday 9am–3pm. Closed major holidays. 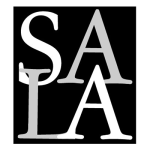 Senior Adult Legal Assistance San Jose – SALA is a non-profit elder law office whose mission is to support older persons in their efforts to live safely, independently, non-institutionalized, and with dignity. SALA provides free legal services and community education to Santa Clara County residents who are age 60+. There is no income eligibility qualification to use SALA’s services. SALA’s attorney staff provides a range of legal services from simple advice/referrals to comprehensive legal representation. SALA’s caseload consists of legal matters that private attorneys typically do not handle and that have a great impact on elders most in need. 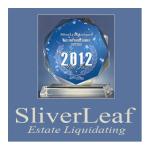 SilverLeaf Estate Liquidating –SilverLeaf Estate Liquidating conduct dozens of Estate Sales annually. SilverLeaf’s professionalism and respect for the customer’s special circumstances has earned SilverLeaf countless referrals including the number one choice of many Realtors and Trust Attorney’s in the region. The SilverLeaf Estate Liquidating team handles all of the details: staging the entire contents of the home to make the shopping experience inviting for customers, then markets and sells the belongings to thousands of Estate Sale shoppers in a 3-day Sale leaving the home empty and ready for your next steps. 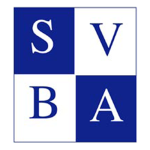 The Silicon Valley Bar Association, (“SVBA”), a California non-profit association, was founded in the Fall of 2000 by local attorneys who wanted quality legal education programs, with local emphasis and reasonable costs, accompanied with appropriate written materials. The mission of the SVBA provide quality continuing legal education for attorneys and other professionals and to promote a collegial atmosphere in order to deliver superior legal services to the public. The SVBA offers links to websites which contain an abundance of law-related information: Federal Government, Sate of California and other law-related websites. 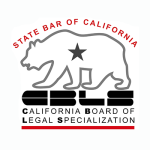 In order to be identified as a “certified” specialist in California, an attorney must be certified either by The State Bar of California Board of Legal Specialization, or an organization whose certification program has been accredited by the State Bar. Such an organization must have requirements for certification that are at least equal to those of the State Bar’s program. California attorneys certified as specialists must pass a written examination in their specialty field, demonstrate a high level of experience in said field, fulfill ongoing education requirements and be favorably evaluated by other attorneys and judges familiar with their work. 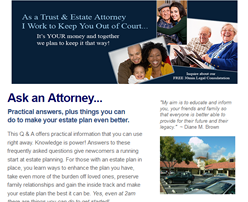 Santa Clara County Estate Planning Council – The Santa Clara County Estate Planning Council is a networking and continuing education organization for members of the various professions involved in estate planning, including attorneys, accountants, trust officers, private professional fiduciaries and life underwriters. Their aim is to promote knowledge of and interest in estate planning and related subjects, and foster intelligent cooperation among practitioners in these fields. 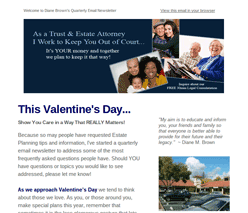 They hold the best interest of members and the general public through helpful service in matters of estate planning. The Senior Advantage Real Estate Council, SAREC®, is the support organization behind the SRES® designation. 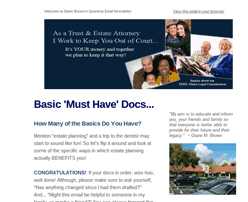 It is the largest and most comprehensive seniors program in the real estate industry. By earning the SRES® Designation, your REALTOR® has demonstrated the necessary knowledge and expertise to counsel clients age 50+ through major financial and lifestyle transitions involved in relocating, refinancing, or selling the family home. 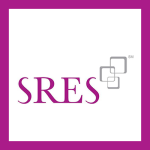 A designated SRES® has received special training, gets regular updates, and is prepared to offer the options and information needed in making life changing decisions.